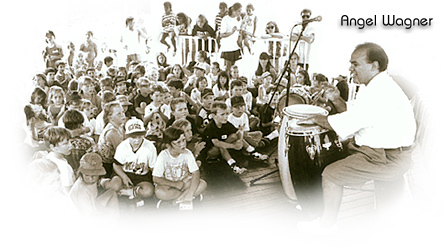 Afro-Cuban music has its roots deep in history and may seem mysterious to outsiders. Though deep in history it was never written about but rather lived through traditions in religion, story, music, song, dance, family knowledge and dates back to the slave ships and before. Cuban music comes from a culture of people whose ancestors were not originally from Cuba, and so their European and African (mostly) roots play a dominant role in anchoring its development. Spanish colonists brought their own musical traditions to the New World, including guitars, European dance forms, and styles of lyrical performance. It's no accident that the Cuban beans and rice dish is known as “moros y cristianos” (”Moors and Christians”), because the Iberian peninsula was under Moorish occupation for quite some time before it became Spain as we know it today. Havana, located at the end of the Trade Winds saw an influx of European colonists and African slave labor alike proceeded in waves across the sea. Unlike North American slaves who were bred the slaves of Cuba were continually imported due to the harsh working conditions in the sugar trade. The last slave ship to land in Cuba was in 1873; over fifty years after the trade had stopped in the New World. That has important implications for music. For example, the ships that passed through the port of Havana were held together by hard wooden pegs called clavijas, from which were derived/invented the musical instrument known as the claves. The clave is the joining “key” for the rhythmic pattern uniting Afro-Cuban music and dance as it was the “key” for fastening the timbers of the ships. 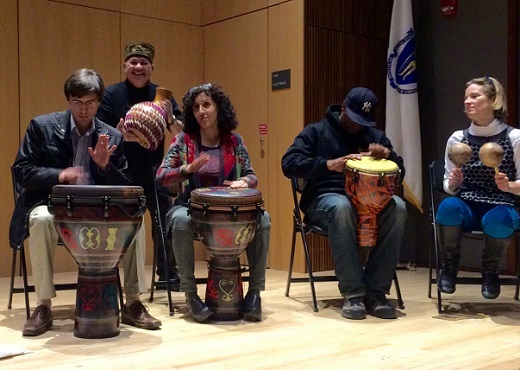 Clave rhythm consists of two measures: one with three beats and one with two. It can be played two ways: 3-2 or 2-3, depending upon which measure is played first. The clave pattern is held together by a half-note pulse on beats one and three that maintains the stability of the rhythm. Dancers must understand the relationship between the pulse and the clave rhythm to dance the salsa with authenticity. African groups in Cuba, coming from four distinct regions on the dark continent, kept a lot of their culture and traditions intact through the formation of cabildos, something like “town councils,” for blacks of related ethnic groups. Despite prohibitions on the use of African drums (which lasted well into the 20th century), underground music flourished, along with plenty of inventive deviants, who would play boxes and furniture instead in order to comply with the rules. The first public (nonceremonial) performance on batá drums took place in 1936. 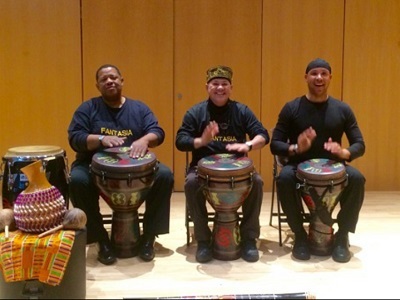 North African music, which emphasizes single melody lines, metric rhythm, melismatic delivery, and erudite lyrics, can be differentiated from the music of sub-Saharan West Africa, which is polyphonic, polyrhythmic, syllabic, and relatively simple in its use of words. Both made independent contributions to the Afro-Cuban musical identity. Son developed in eastern rural areas of Cuba around the turn of the twentieth century, but traces of it date back to the 1700s. Son is a distinctly Afro-Cuban musical style because it uses an African rhythm (also called son), Spanish poetic styles in the lyrics, and the use of plucked instruments (including guitars). Son is a part of much Cuban music. Afro-Cuban religious music has provided a way for Africans to retain traces of life in their ancestral home. Santería, the largest Afro-Cuban religion, mixes Yoruban spirituality with Catholicism. Music and dance are very important to the ceremonies of Santería, since followers believe they are the only means of contacting ancestors. 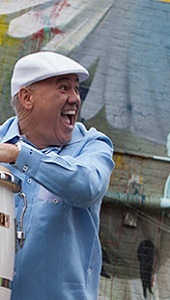 Sacred drums of Santería are called batá. 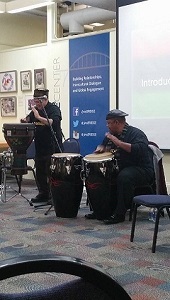 Today, popular Cuban music and dance styles include salsa, son, rumba, mambo, and cha-cha-cha. 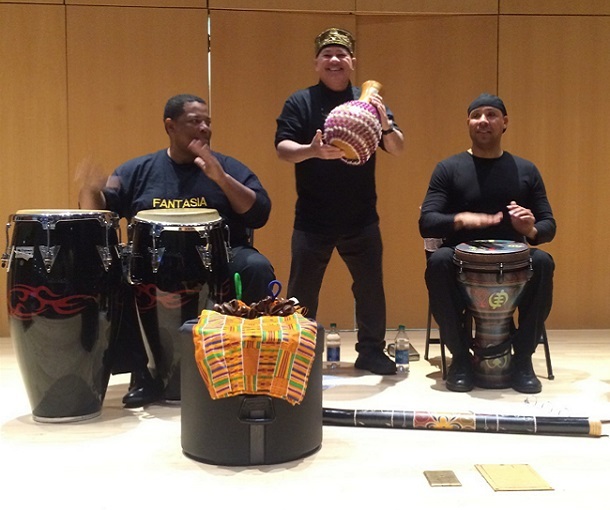 The instruments used include the claves, maracas, guiro, thumb piano (like the African mbira), and cowbell, as well as various drums, including bongos and a large conga. Some European-style instruments may also be used. 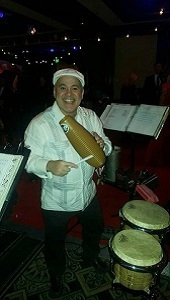 In Cuban music, a special rhythm played on the claves (called the clave rhythm) sets the tempo and maintains it. There are many different kinds of salsa music and dance in Cuba. Most of these styles are derived from son. Son developed in eastern rural areas of Cuba around the turn of the twentieth century, but traces of it date back to the 1700s. Son is a distinctly Afro-Cuban musical style because it uses an African rhythm (also called son), Spanish poetic styles in the lyrics, and the use of plucked instruments (including guitars). Son is a part of much Cuban music. Click here to email us for bookings or more information.